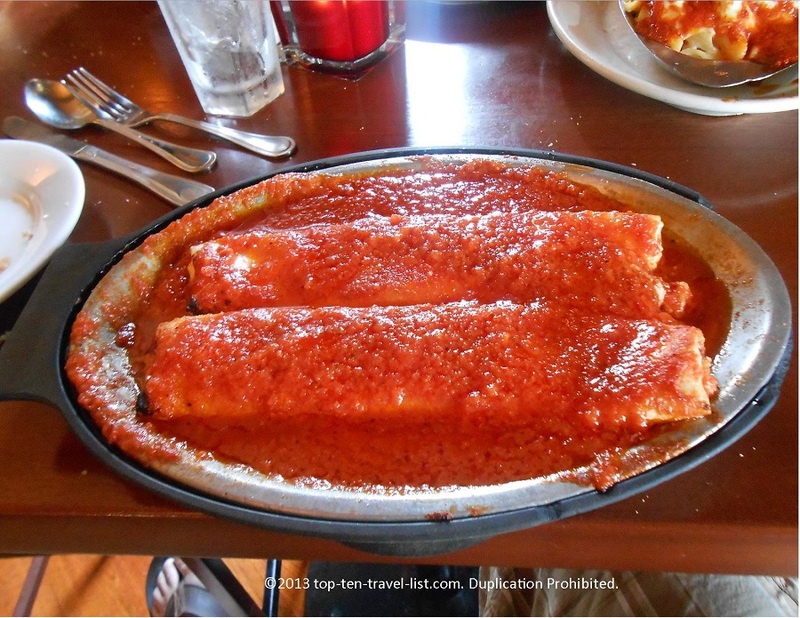 Excellent Authentic Italian in Randolph, Massachusetts - Top Ten Travel Blog | Our experiences traveling throughout the US. On the way home from Boston, Massachusetts, Mike and I were searching for an Italian restaurant. 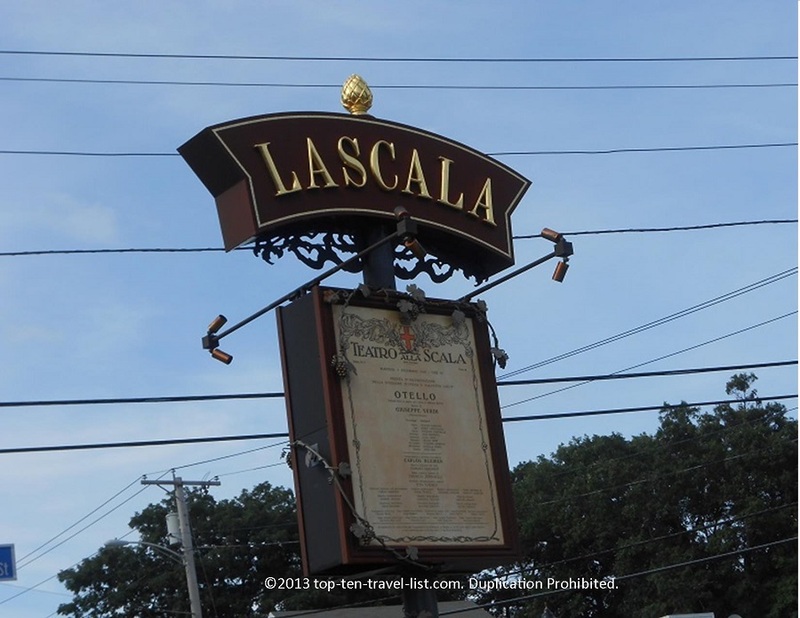 We happened to pass a sign for a restaurant called La Scala in Randolph. The restaurant was much fancier than we expected for a suburban location. We arrived a half hour before the dinner dining room opened, so we had to take a seat in the bar area. To our surprise, the bar area was very elegant with nice decor. The dinner menu consists of most of the Italian regulars such as Ravioli, different pasta/sauce combos, and plenty of chicken and veal entrees. I had my choice of 3 vegetarian entrees: Fettuccine Alfredo, Baked Ziti, and Baked Manicotti. I decided to go with the Ziti as I almost always order Alfredo in every Italian restaurant! I am so glad that I picked the Homemade Ziti– it was fantastic! Just the right amount of cheese and I loved that it was served with an extra side of sauce. The homemade marinara sauce was perfect. 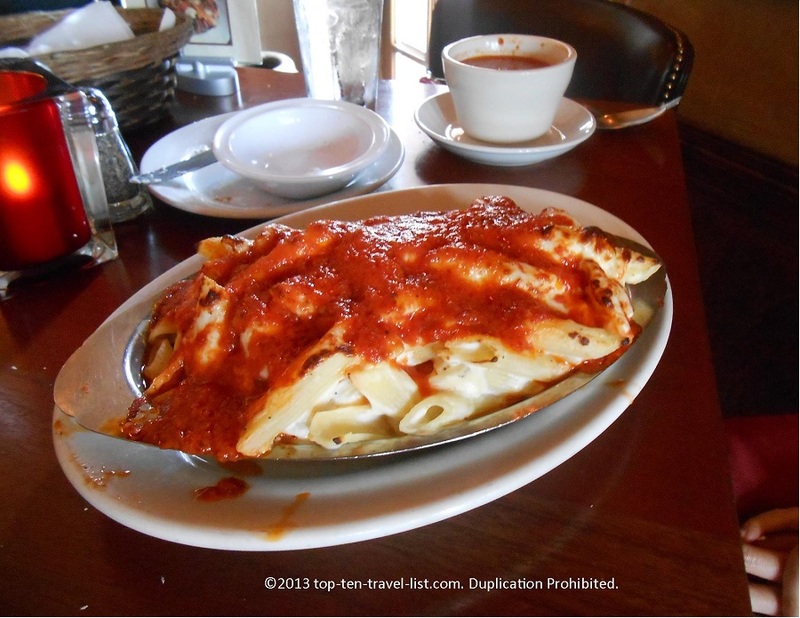 Mike ordered the Homemade Baked Manicotti, which was similar to the Ziti, but less cheesy. They both were delicious, although the Ziti is the clear winner! Each entree is served with a basket of bread and butter. Salads are an additional add on. 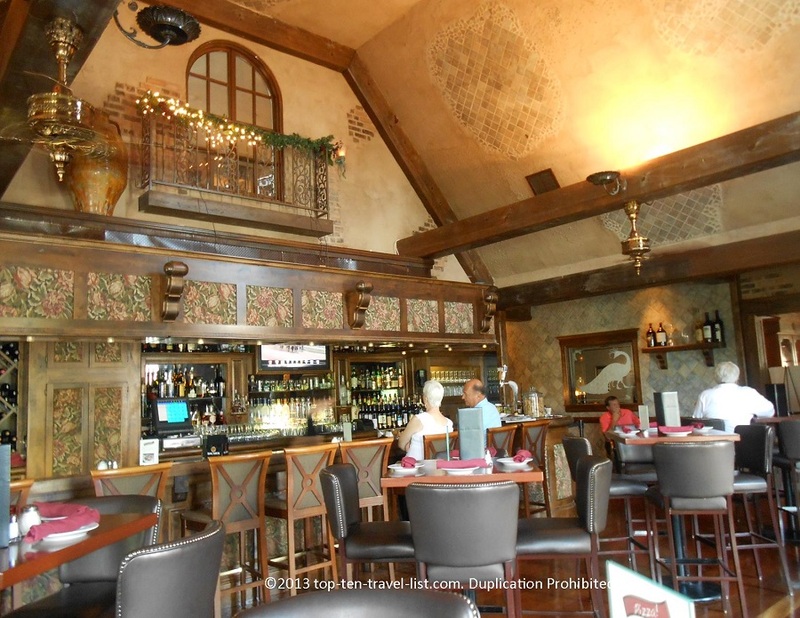 The bar area is very pretty with an old world Italian atmosphere. The high ceilings, beautiful decor, and nice woodwork add to the ambiance. La Scala has a cozy, romantic feeling, probably even more so on the nights with the live piano player. The food and atmosphere were definitely nice enough to bring us back for a second visit. I would come back again for the delicious food, excellent prices, and inviting authentic Italian atmosphere. La Scala is the perfect choice for those of you who do not want to deal with the hassle of driving into the city. Randolph is located about 20 minutes outside of Boston. Tip: Bring with cash – no debit or credit cards are accepted!